For All your rubbish removal why not give Rubbishbox.com a try. We can remove from as little as one jumbo bag of rubbish to a grab lorry load of rubbish. The rubbish can be general houshold rubbish, garden waste, topsoil, to name just a few. We are quick and efficient, are 100% dedicated to recycling, we are fully licenced and insured and we work every day, 7 days a week. 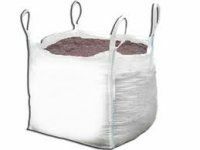 For small collections, we deliver a jumbo bag to your house/site, you fill it with rubbish, call us when its full and we come and collect, its as simple as that. Please call 01279 812821 for a competitive price. Areas covered are, Elsenham, Henham, Ugley, Stansted, Newport, Bishops Stortford and the surrounding villages. Please note: Unfortunately we are unable to remove, Asbestos, Paint/Paint tins, plasterboard.